As in the United States, many Mexican education reformers focus on teachers' unions--but both countries need a broader public schools agenda. The average Mexican attends school for only eight and a half years. That’s the equivalent of dropping out in middle school—before reading Shakespeare (or Cervantes), learning trigonometry or writing a sophisticated research paper. Mexico, the next-door neighbor of the richest society in the world, ranks dead last among the forty-one countries that participate in the OECD’s Program for International Student Assessment. About 40 percent of Mexican 15- to 19-year-olds are completely disconnected from civil society and the legitimate economy; they have dropped out of school and are unemployed. I spent several days this week in Mexico City, on a trip for American journalists and policy professionals hosted by Grupo Salinas, the media, retail and banking conglomerate owned by Ricardo Salinas Pliego, one of Mexico’s powerful oligarchs. Like the United States, Mexico is preparing for a contentious presidential election next year, and our group had the opportunity to meet with and interview several of the leading candidates. Shockingly, only one—Marcelo Ebrard Casaubón, the pragmatic, progressive mayor of Mexico City—identified the scant schooling of the typical Mexican citizen as one of the nation’s foremost economic, social and cultural problems. 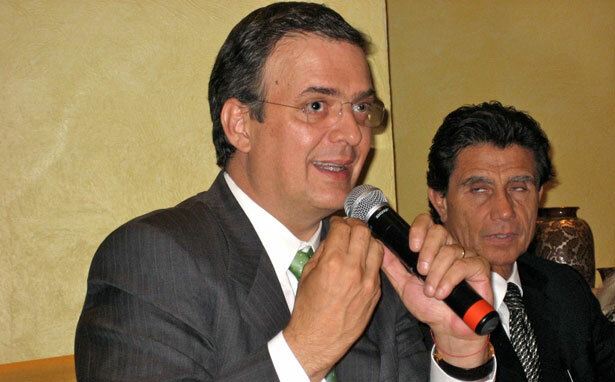 The others, Josefina Vázquez Mota of the ruling center-right National Action Party, and Manlio Fabio Beltrones of the formerly authoritarian Institutional Revolutionary Party (PRI), instead voiced an education reform agenda that seemed ripped from the pages of an American newspaper: Blame the teachers union. I believe this type of thinking—lobbing rhetorical bombs at teachers unions while focusing solely on primary school education—is too modest for a nation as vibrant as Mexico, which enjoys tremendous geographic and cultural strengths, yet which faces stiff labor market competition from Asia, where countries like China and South Korea have prioritized educating their workforce. To be sure, elements within the 1.5-million member Mexican teachers union have defended some horrifying practices, including the family inheritance and buying and selling of teaching jobs. But thanks to reforms instituted by President Felipe Calderón’s administration, those days are over. Vázquez Mota led the 2008 negotiations with teachers union leader Elba Esther Gordillo, who—like Randi Weingarten of the American Federation of Teachers—has embraced teacher quality reforms over the protests of some her own members. “For the first time in the history of education in Mexico, teaching positions are now assigned due to merit, and not for political reasons," Vázquez Mota told us. Mexican educators must now pass an exam before they preside over a public school classroom. 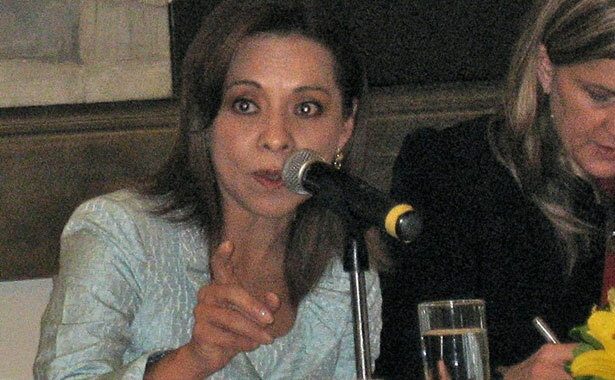 Like Beltrones, Vázquez Mota bragged that almost all Mexicans are now attending primary school, in part because of her party’s Opportunidades anti-poverty program, which provides cash payments to low-income mothers who keep their children enrolled in school. This is certainly an accomplishment in a nation where half the population of more than 50 million people live in poverty. Thirteen million of these Mexicans are the destitute poor, residing in rural communities disconnected from modern technology and functional social services. To put food on the table, parents pull their kids out of school and put them to work, sometimes in the violent, underground drug economy. But to truly fight this vicious cycle, small cash payments won’t be enough. The priority ought to be connecting all poor children to a full twelve years of quality formal schooling, so they can strive for a middle-class lifestyle in our increasingly globalized knowledge economy. In order to do this, Mexico must continue to grow its economy and must fight poverty just as doggedly as it has fought the drug war—and hopefully more successfully. An added challenge is creating curricula that are relevant, respectful and engaging for Mexico’s 10 million indigenous citizens, who are especially at risk for dropping out of school. Traditional, Catholic Mexico must also expand access to contraception and legal abortion, so that women can plan their family size and offer more opportunity to the children they have. Teachers unions should modernize their practices, and in both Mexico and the United States, they are well on their way to meaningful reform. But the truth is, weakening labor protections for teachers will not, on its own, solve the international problem of educational inequality. Here in the United States, state budget crises are forcing schools to cut crucial programs and staff. In Mexico, many millions of children see their basic educations cut short well before they gain the skills necessary to live an economically stable life. Teachers unions have little control over these poor educational and macroeconomic conditions, and are not responsible for them. Of the politicians I met in Mexico, only Mayor Ebrard Casaubón seemed to grasp that successfully reforming education would mean radically increasing access to many, many more years of formal schooling. In Mexico City, the high school graduation rate increased by 120,000 students over the past five years, and “now we want to reach twelve years of education” all across the country,” Ebrard Casaubón said. This is ambitious thinking, but big ambitions are exactly what we need, worldwide, if we are to use education as a lever to move people out of poverty. Teachers union—bashing will never be enough.